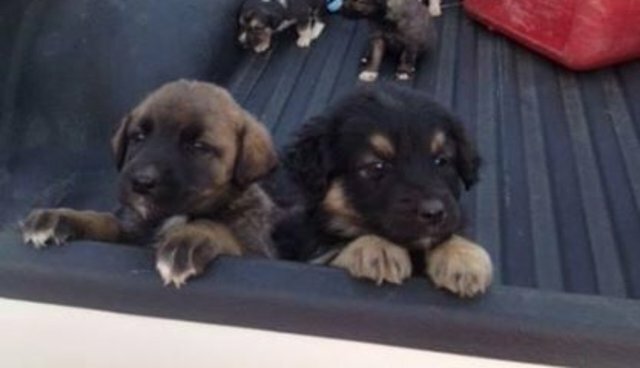 When a hunter in the Canadian village of Glaslyn came across a litter of abandoned puppies last week, he had a very different animal experience than he'd expected. "As I walked up, they all just kind of looked at me and I guess my moose hunt was over," Greg Zubiak told CBC. "I just said, 'OK, come on,' and as soon as I said that, they all come running to me." 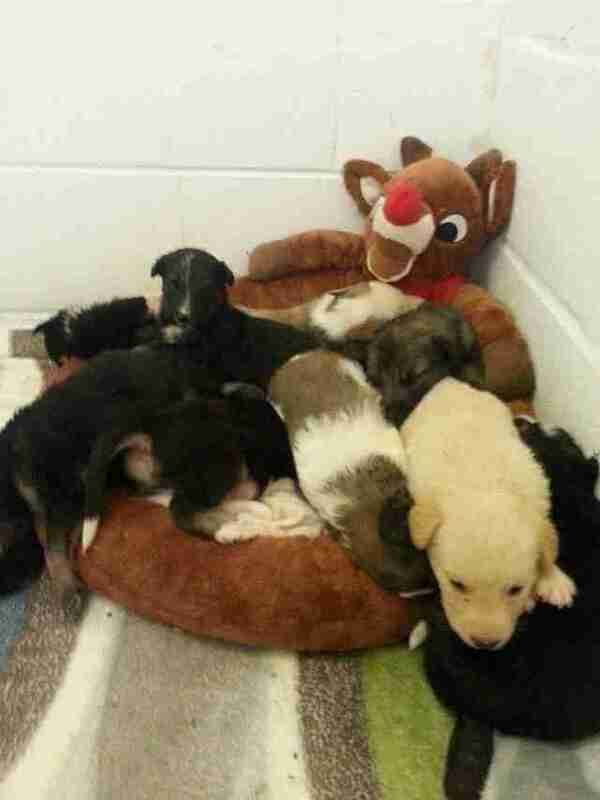 The 20 puppies, ranging in age from about 3 to 6 weeks old, were deserted in a field with just a blanket to keep them warm. In an ironic twist, Zubiak did the only thing he could think of: he shed the gear he usually uses to hunt animals and used it instead to save them. 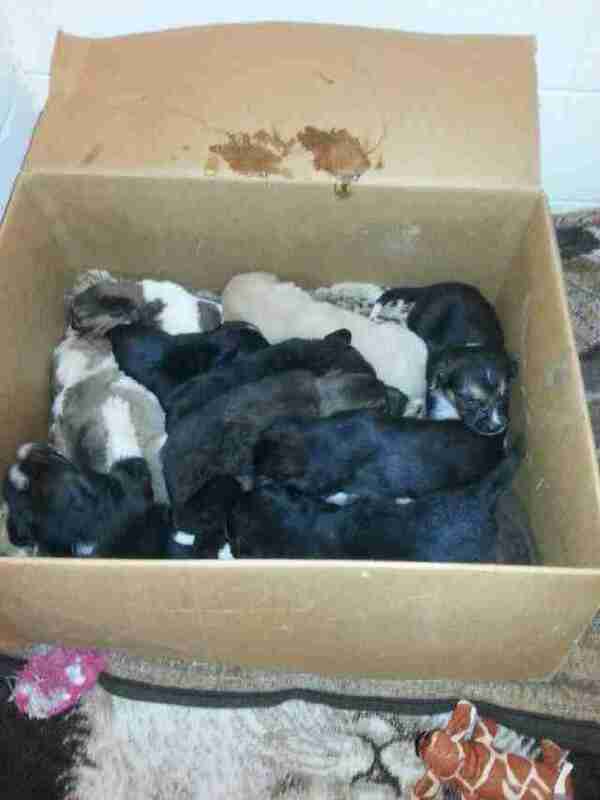 He placed the puppies in a box in his truck, swaddled by his hunting clothes. These babies came into the shelter after supper last night. They were found by a hunter in multiple boxes spread out throughout a field probably being used as coyote bait. They are now safe and sound, and the shelter has received messages from hundreds of people and organizations offering to donate food, clothes and to adopt the puppies. See this page for how you can help.